One of the great joys for a restaurant lover is to visit a tiny, unprepossessing place you’ve probably walked past before and barely noticed, and discover it is doing completely wonderful food. 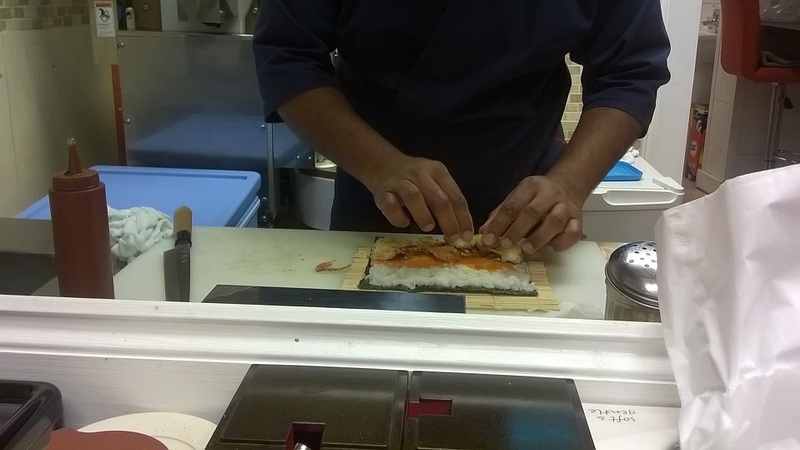 So today I share with you Kuru Kuru Sushi on Welford Road in Leicester city centre. 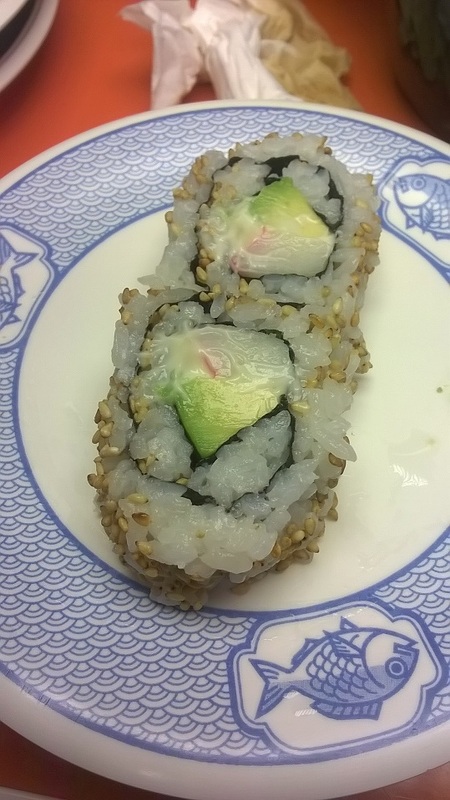 I’m no expert on sushi – and my last visit to Yo! Sushi left me with no desire to go back – but I was pleased to take up an invitation to join Chris from Crafty Burger and Andy from St Martin’s Tea and Coffee for lunch at this tiny kitchen opposite the doomed New Walk Centre. It’s full with five of you in there, but that means we had a ringside seat as chef Shyiam created a series of fantastic dishes. Basically we had him as our personal chef for an hour. 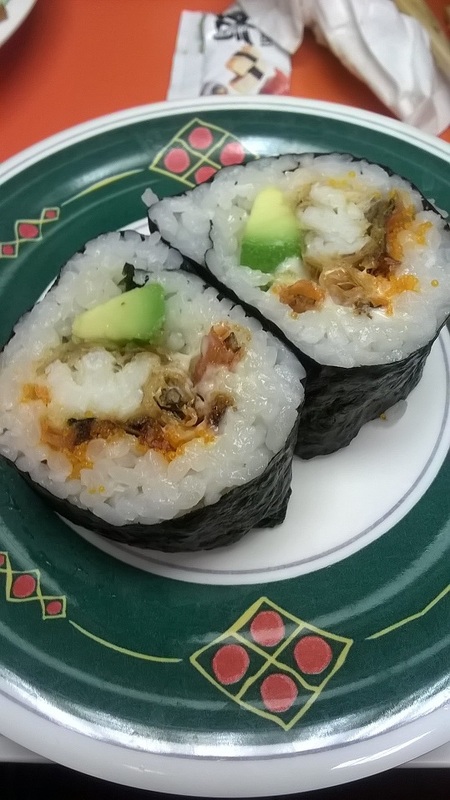 You can order set sushi variety boxes, set menus with main courses such as salmon teriyaki, tempura prawns or Java curry, or just order individual rolls, sushi and hot dishes. We just asked chef to keep giving us highlights from the menu, with Chris putting in a couple of specific requests. We started off with really tasty hot pumpkin croquette, then a divine soft shell crab roll with flying fish roe and avocado, California rolls with crabstick, avocado and mayo, superfresh salmon sashimi, eel teriyaki, salmon minced up with Japanese chilli and rolled with tempura prawn, and a remarkable roll made with crispy salmon skin. 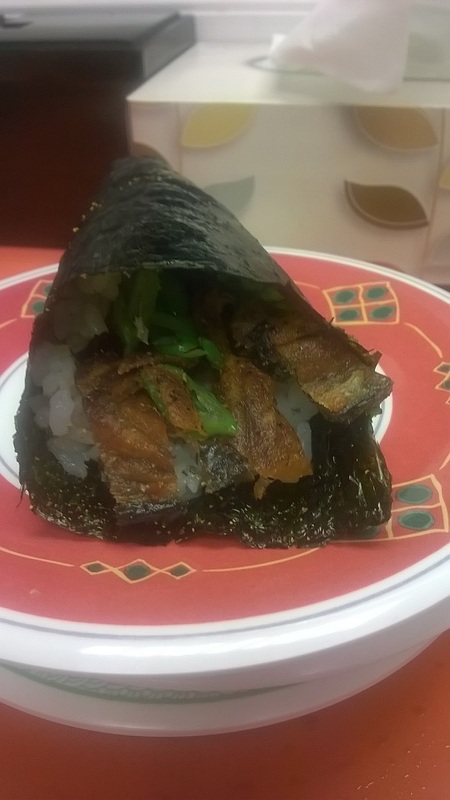 I’ve probably missed a couple – suffice to say from the rice to the seaweed wraps to the fish it was all umami-tastic. We ran up a bill of just over £20 a head but you could lunch handsomely for under a tenner. Now for the bad news. Chef Shyiam is off to Sri Lanka shortly and the restaurant will be shut during December. So either get down there quick, or make it a new year resolution to give it a try. It’s open lunch times and evenings until 10pm and they will deliver to homes and offices. 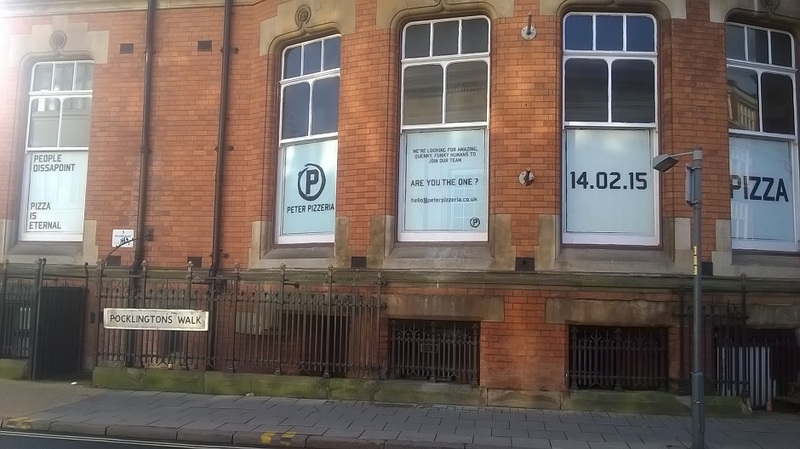 With Peter Pizzeria now confirmed as opening in nearby Welford Place on Valentine’s Day (below), a promising-looking Chinese snack café on Pocklington’s Walk, and the ever reliable Shivalli just a few yards further down Welford Road, it’s good to see a range of quality independents providing an alternative to Highcross. 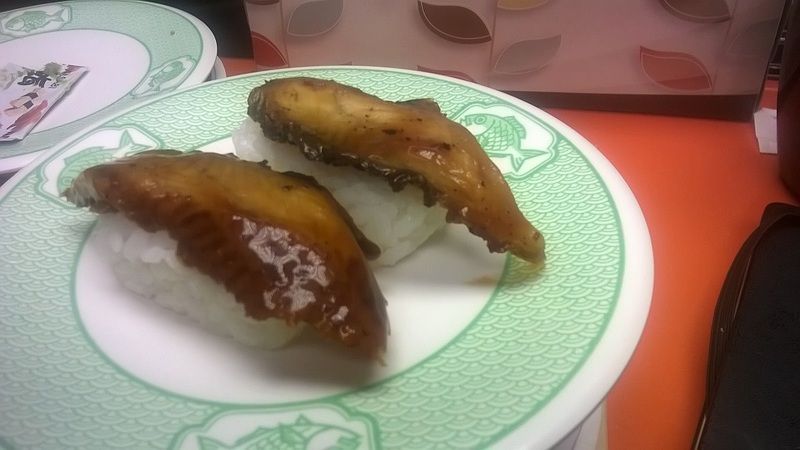 I visited Kuru Kuru last night and it was fantastic – thank you for the recommendation! The quirkiness of the place and the value for money aspect were both spot on and the sashimi was fantastic and so fresh. Great that they do deliveries too. They’ve definitely just gained two regular customers! Excellent! He shut for a month just after I visited and I’ve not yet been back. Must arrange that soon.